This city defines the word metropolis! With more than 13 million inhabitants, Istanbul is one of the biggest cities in the world and the only one located in Europe an Asia. The city has lots of history, as it has been part of four empires: the Roman, the Bizantine, the Roman and the Ottoman. This was capital to 3 world empires! first named Bizantio and then Constantinople and nowadays Istanbul. 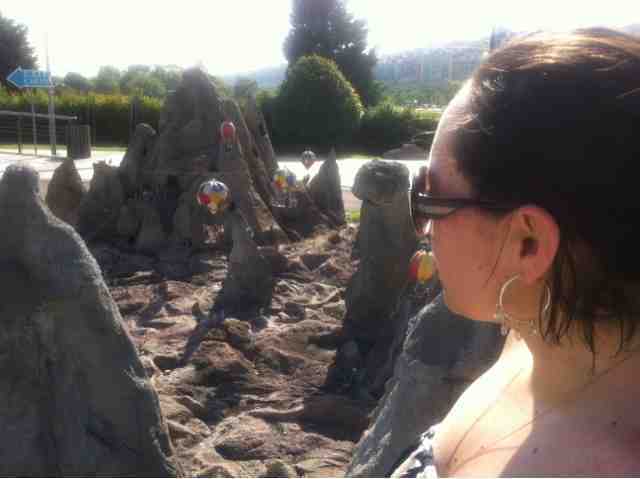 It is a melting Por of cultures! I first heard from it in school when learnin about the Roman Empire. And then at my last year of high school we had a subject taught in English, History of Art, where I was completely taken by the history behind Hagia Sophia. IIt is 530am and we are about to take off. 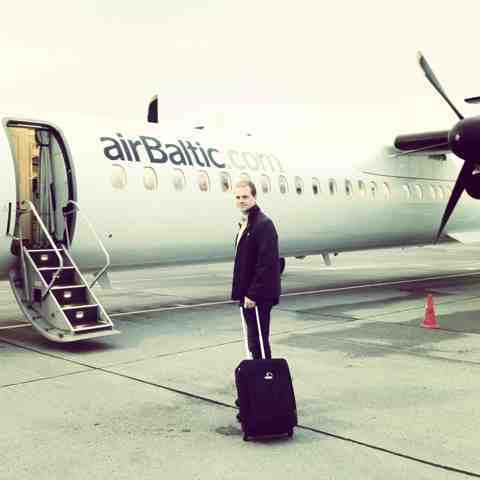 Our second flight, Riga – Istanbul. Time to get some breakfast/lunch. 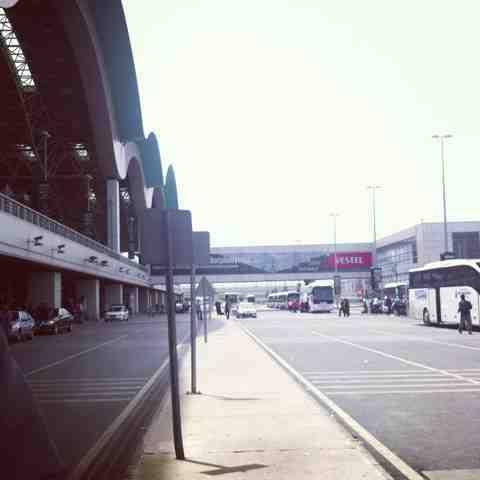 Sabiha Gokcan airport in Istanbul, warm and a nice breeze, it´s vacation time! 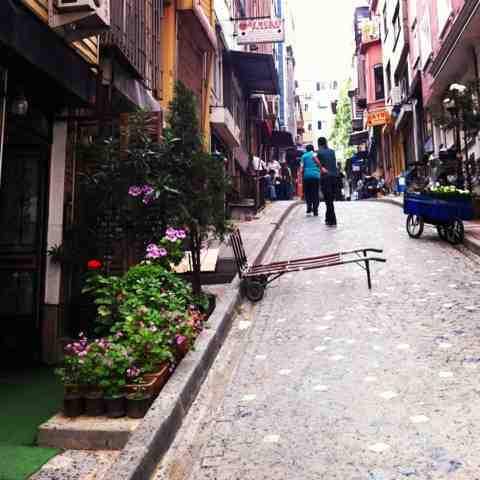 We have arrived to our hotel, located in the old town and the European side of Istanbul. 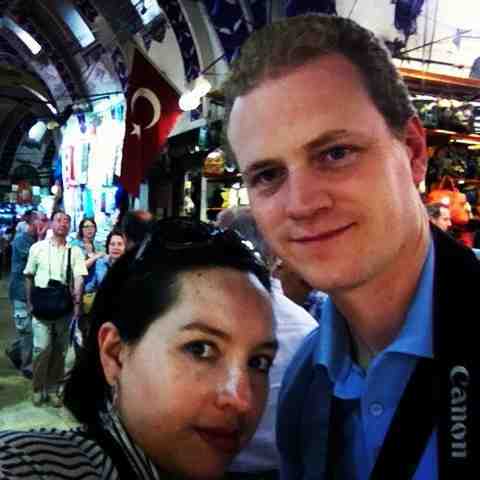 The entrance to the biggest indoor market in Istanbul, the Grand Bazaar. 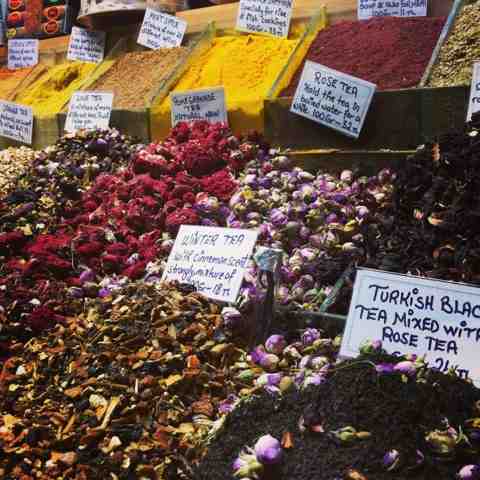 A delightful selection of spices, a myriad of colors and wonderful aromas available at the Grand Bazaar. There’s a wide range of stores offering all kinds of products. To name a few: pashmina scarves, carpets, jewelry, spices and souvenirs. Take your time to explore it, and don’t buy at the first store you stop. The prices are not fixed, so you need to bargain. 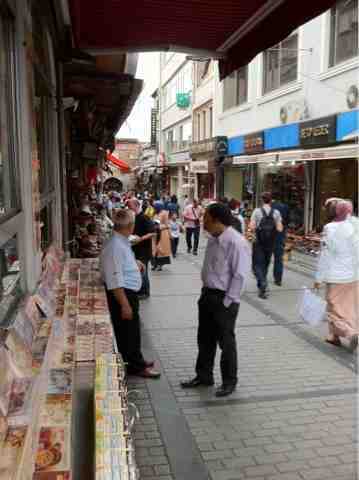 We stopped in the middle of the market, where there is a nice small area full of cafés, and got some Turkish warm teas. 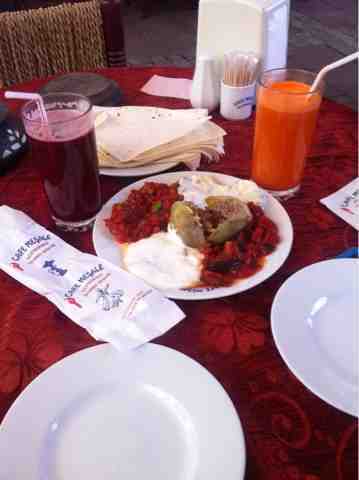 The grand Bazaar tea made from pomegranate and orange, and the salheb tea with milk and cinnamon as main ingredients. In the meantime we were being filmed by a local tv channel. 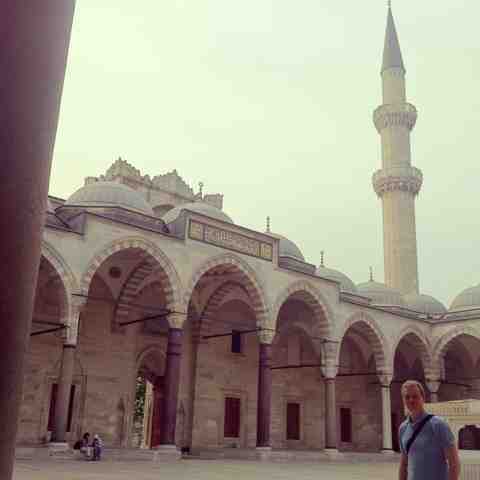 The Suleymaniye mosque, built by architect Sinan. Believed to be the largest architectural complex created in the Ottoman Empire. We couldn’t enter the Blue mosque we have to get back, it was closed for prayers. So, on our way from there to Hagia Sophia, I saw a familiar face! The entrance to Hagia Sophia- built 11 thousand years ago. Hagia Sophia or the Holy wisdom, the best representation of Byzantine architecture, built in 532 by emperor Justinian as a church. It was later that it was converted into a mosque with the Ottoman Turks, when all the Islamic decor came into place, including the 4 minarets. 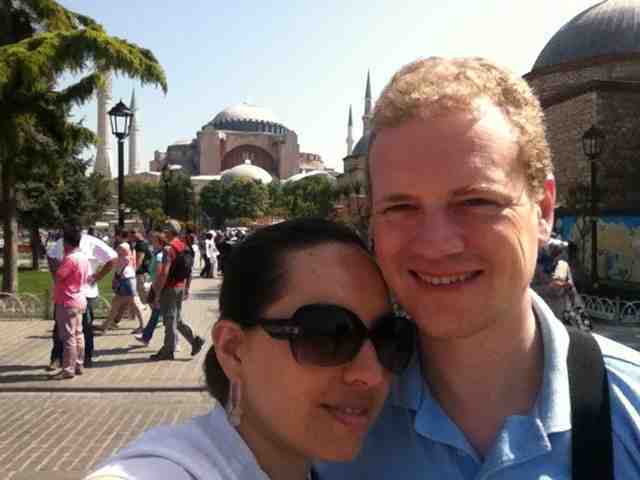 Outside an incredible viewpoint for both Hagia Sophia and The Blue Mosque. The mihrab, placed on the direction of Mecca. After a good two hours exploring and admiring both floors in Hagia Sophia, with an audio guide tour. We headed to the Blue Mosque. Here the lines were not as long, and at the entrance we received plastic bags to carry around our shoes, in order to enter bare foot. All wearing shorts got long pieces of fabric to cover their legs and we (women) got some fabric to cover our hair. The interior is all covered in blue tiles, with some red designs as well. The most prominent feature here as well as in Hagia Sophia was of course the dome. 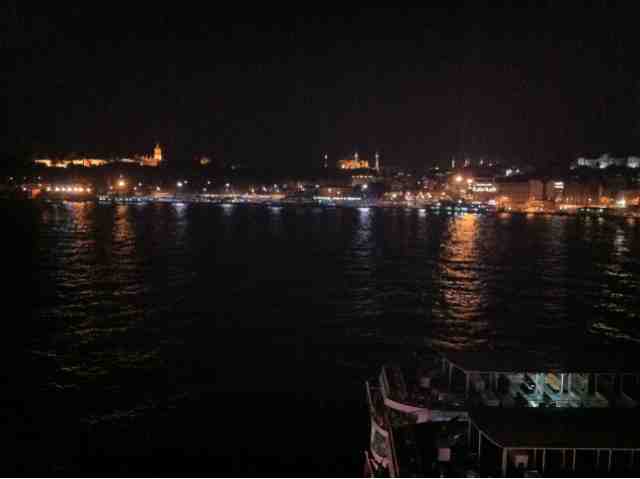 Istanbul is gigantic, so when we agrees on meeting my friend on the new part/ other side of the bridge, we had no idea that it would take us maybe an hour. On the bridge it was quite interesting and entertaining to find a line of people with fishing poles catching sardines. Once on the other side we located a nice restaurant offering an awe inspiring view over the old town. 20:15 we made it to the top of Galata Tower a medieval watchtower that nowadays offers magnificent vistas of the Old town and surroundings. I found this website, it is perfect to find & book quality rental properties. 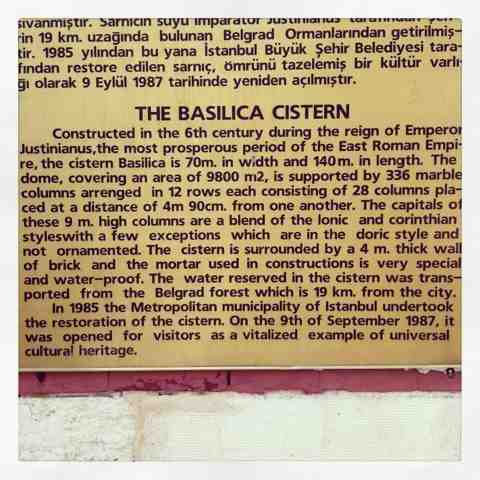 The basilica cistern, one of the many impressive water systems built during the Roman Empire. The use of the medusa head, on the bottom of the columns is according to mythology a way to keep away bath omens. 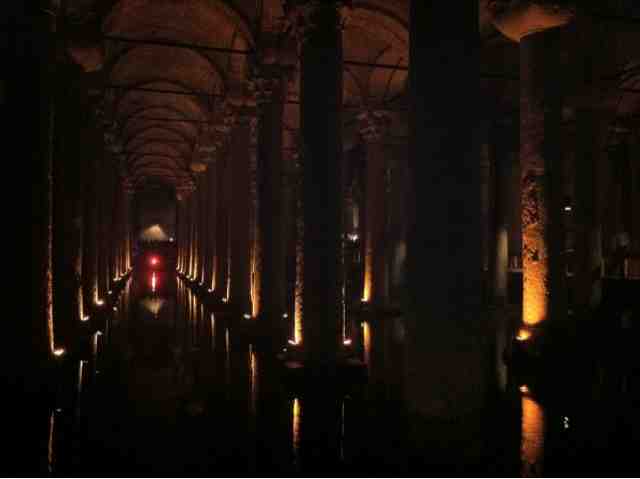 This underground cistern has 12 rows of marble columns and can hold up to 100.000 tons of water. 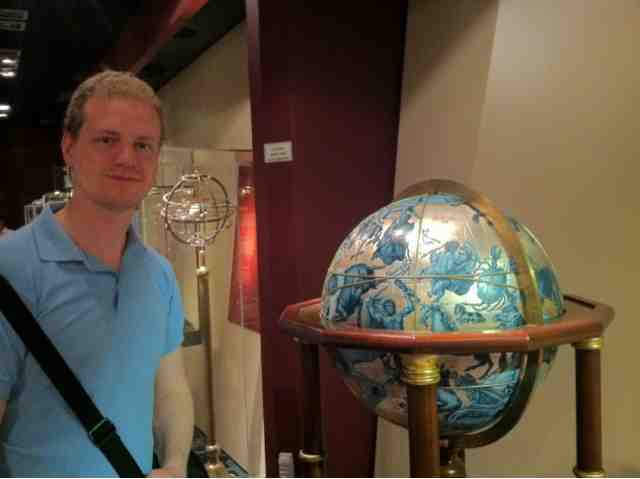 A museum really worth the visit! It was my brother who had been here years ago, who highly recommended that we came. And so we did. The museum has a wide range of information, sections with Information in 4 languages, as well as many objects on display to illustrate the texts, and Some multimedia screens explaining the main inventions. Here you will find, starting from the 9th – 10th century, the breakthroughs that the Arabic-Islamic world had in many areas, and are the basis for the Latin western cultures. Science, astronomy, medicine, physics, optics, chemistry, ophthalmology, to name some of the areas covered in the museum exhibits. Taksim, The center of The modern side. Late night, we met Andrea(the German friend I met first time in the Galápagos Islands in 2007, on a family trip while working in the tourism ind in Ecuador, and then in Quito a year later) and her parents for dinner at Galatelli Restaurant by the sea side on Karakoy side, a restaurant we found on Trip Advisor with a pretty good rating and offers great sea food, an is a spectacular vantage point. Day 4 -am We decided to take a hop on hop off bus that would take us everywhere, a choice we make in large cities, in order to see all the main sites and then just stop or visit the main ones for us. 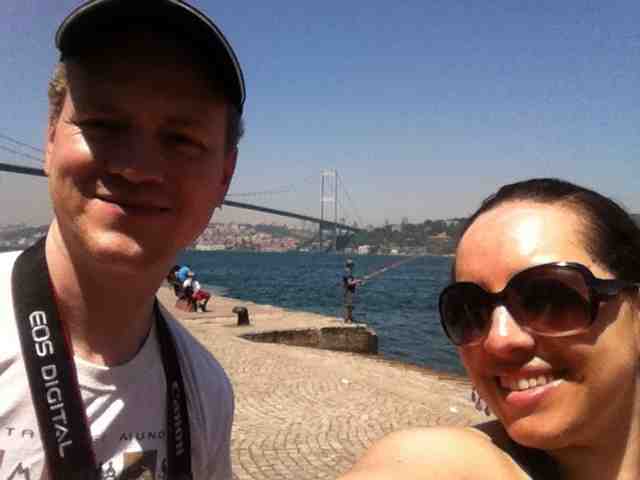 Our main hop off, on the Asian side of the Bosphorus in Istanbul. Home to many non Islamic groups such as: Greeks, Armenians, Jews and Italian merchants. 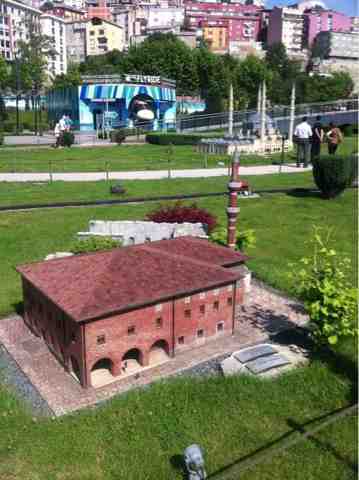 4pm we took the hop on hop off bus direction the Golden Horn and stopped at the miniturk, which reminds me a lot of the miniature scale models/representations of main buildings/ architectural sites in Madurodam, Holland. 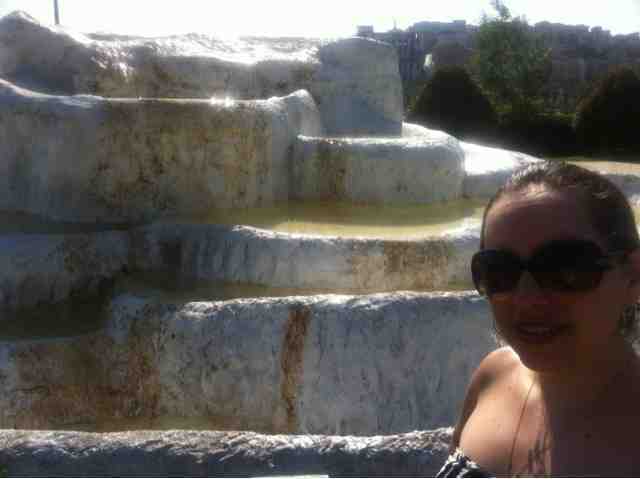 A site with natural springs and terraces of carbonate minerals left by the flowing water. Another natural wonder, with fairy chimneys, containing many hiding places for the Early Christians and that has an incredible defense system. A place I would have loved to see real life, but most be planned with more time. 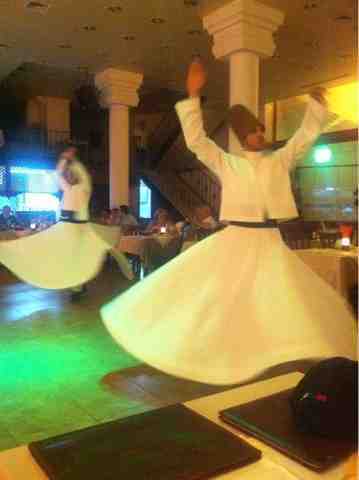 At night we went to a enjoy live Sufi music and the whirling dervish ceremony at a nice restaurant. 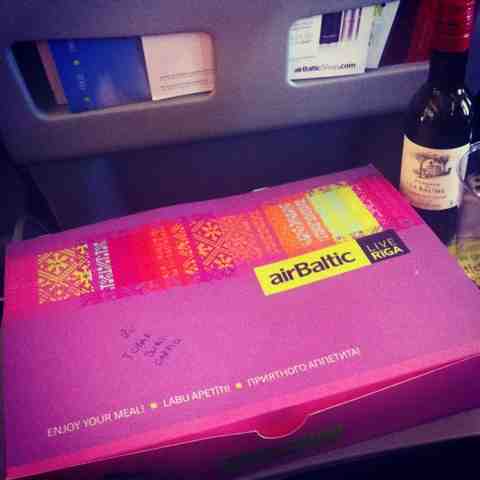 We started the day a bit earlier than the other days, to take advantage of our last day in the city. So after a nice Turkish breakfast outside sitting in the sun, at our hotel, we headed up (5 min) towards the main square to enjoy our Hamam relaxing treatment. 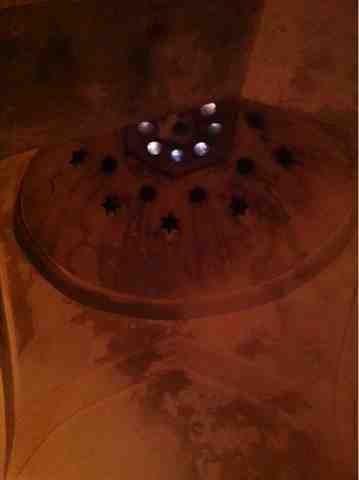 A travel agency recommended this hamam, and it turned out to be pretty good! We got separated areas, so we each went our way at 9am and met at 12 pm, in order to go check out at the hotel and enjoy some lunch before taking our airport shuttle in the afternoon. 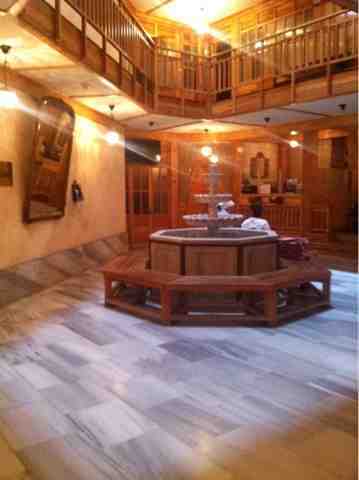 I was pampered, scrubbed and exfoliated while relaxing, the treatment included time at the jacuzzi and then a 30 min. Oil massage, that was pretty good. Relaxed and extremely clean, we went to our hotel and then to get our last Turkish meal. And of course eve though I had tried the apple pipe in a shawarma restaurant in Quito, I had to taste it where it is original from and make my husband try it once just for the fun. And of course after this trip, I am inspired on reading a bit more, made a list. 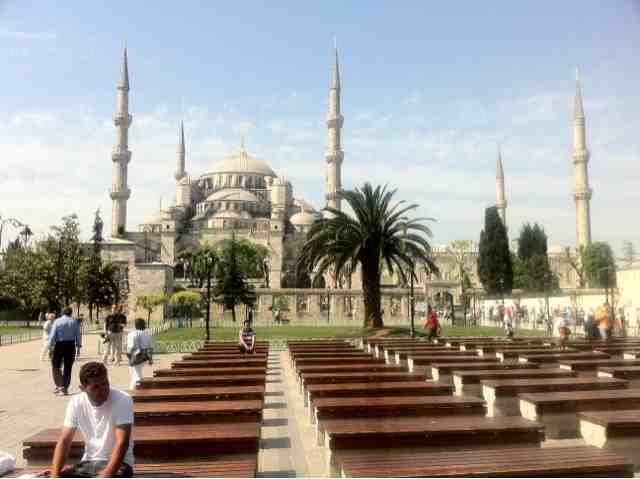 In sum, Istanbul is a place worth visiting. A wonderful experience in a place of contrasts and lots of history. ⟵Vienna, a wunderbahr, aka, wonderful city!